Welcome to the Kia Stinger Forum. Forum for new Kia Stinger owners and enthusiasts to check in and say hello. 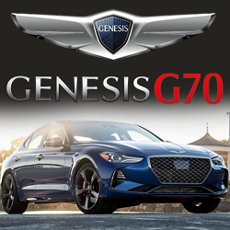 Forum to discuss all things related to Kia Stinger dealer reviews, deals, rebates, incentives, financing, ordering and purchasing the Kia Stinger and Kia Stinger GT. Forum to show-off your Kia Stinger pictures and stance photos. StingerFest is the largest Kia Stinger event that unites Stinger owners from around the world. 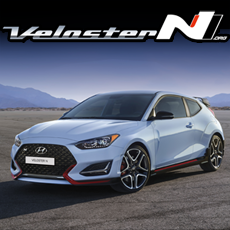 Forum to discuss anything related to racing the Kia Stinger. Who waves to other Stinger owners? 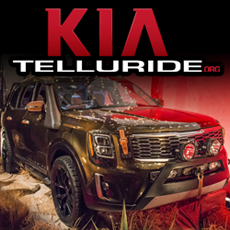 Forum to discuss all things related to the Kia Telluride. Staggered or squared for AWD? Forum to discuss all things related to daily maintenance of your Kia Stinger and any technical troubleshooting. Forum to discuss all things related to amplifiers, speakers, wiring, security, radar, etc., UVO functions. Forum to find the hottest deals and the coolest new products, straight from KiaStinger.org's group of vendors. Forum to discuss the latest Kia Stinger performance products with ARK Performance. Forum to discuss the latest Kia Stinger performance products with Importshark. Forum to discuss the latest Kia Stinger performance products with Jonny Tig. Forum to discuss the latest Kia Stinger performance products with K8 Stinger Store. Forum to discuss the latest Kia Stinger performance products with Pwnall Performance. Forum to discuss the latest Kia Stinger performance products with Shark Racing. Forum to discuss the latest Kia Stinger performance products with STILLEN. Kia Stinger GT Intake, Cat-back Exhaust. Forum to discuss the latest Kia Stinger appearance products with Strictly Business Motorsports. Forum to discuss the latest Kia Stinger performance products with Throwdown Performance. Forum to post all Kia Stingers For Sale by owners and dealers. Bay area after market exhaust owners? Serving the Arizona, Nevada, New Mexico and California regions. Anyone selling any BOVs or JB4 Fuel Wires? Serving the Arkansas, Louisiana, Mississippi, Oklahoma and Texas regions. Serving the Connecticut, Maine, Massachusetts, New Hampshire, New England, New York, Rhode Island, and Vermont regions. Where in the North East are you from? Serving the Alabama, Florida, Georgia, Kentucky, North Carolina, South Carolina and Tennessee regions. Serving the Hawaii, Maui, Lanai, Molokai, Oahu and Kauai island regions. Regional Australia Kia Stinger forum for the Australian and New Zealand regions. Serving the UK and European regions. ARK Performance GT-F vs STORM Lowering Springs - Help? Good luck man, hope your next car is problem free.